When I was in Charlottesville a couple weeks ago, my sister, friends, and I went to Kroger to get a few snacks. This is the same Kroger I went to in the summer of 2009 to get the pregnancy tests that confirmed Lily was on her way. There's currently a lot of construction and changes going on, so it looks very different than how I remember it. I don't think I've even been there since that summer. I picked out a lovely fresh bouquet of flowers to take to Lily's spot and just felt very sad at how everything turned out, how much I never could have dreamed things would go in the past 5+ years. 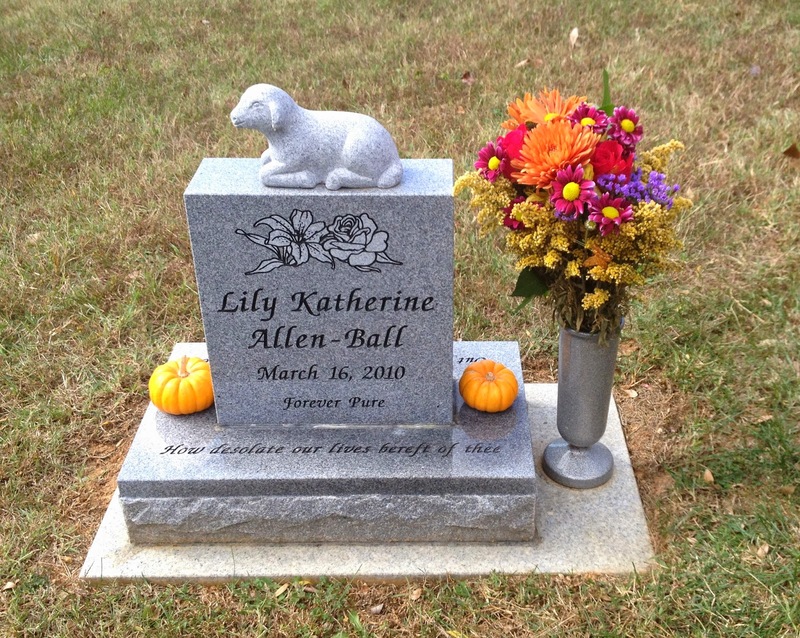 From the beginning of Lily's life, getting those pregnancy tests, and all the crazy emotions that came with that.... to the end of Lily's life, getting flowers for her headstone, and all the crazy emotions that come with that. 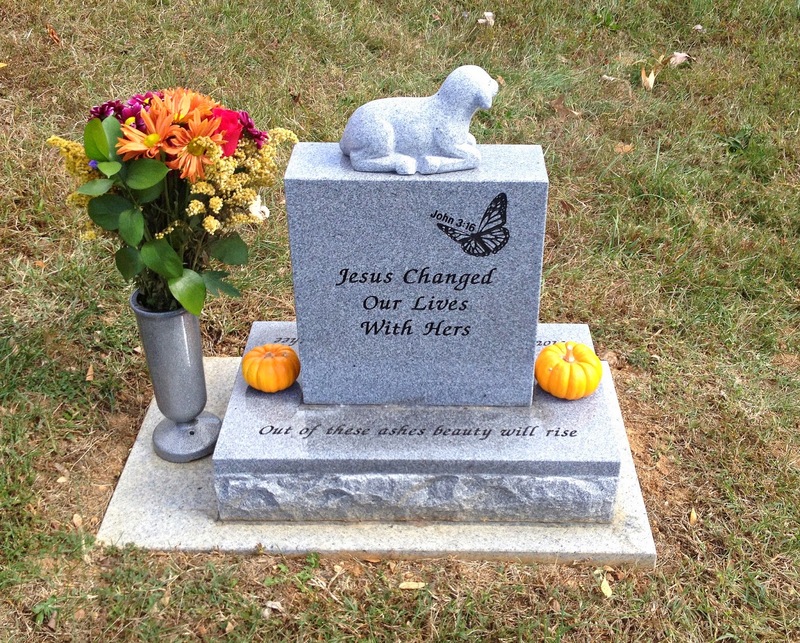 It reminded me of a post I wrote last November called "From pregnancy test to headstone." It also made me think of a poem I wrote this June where the last part says, "That positive sign too soon turned to words etched in stone. It all started with those two lines in June." Oh, the irony of getting one thing that marked the beginning of her life at the same store that I am now getting another thing that marks the end. That positive sign too soon turned to flowers for a stone. But you know what the beautiful part in it all is? The beautiful part is how God changed my heart in the time between that pregnancy test and those flowers... how at first I saw my unborn child as a burden. And how now I see her as a blessing and love her more than anyone in this world. And how I got her a beautiful stone and take her fresh flowers because I love her so much. The sadness I feel in missing her is even a tribute to how God changes our hearts at the core, and a testimony to the sanctity of each irreplaceable, precious LIFE.